1. support edit sis / sisx file with basic information, such as program name, uid, creation time, the program version, the provider name, language, target device, the type of installation and so on. 2. support for editing sis / sisx file list, including the program components can be edited. 3. support for new sis / sisx packages. This feature is still in the basic stage, the future will be perfect. 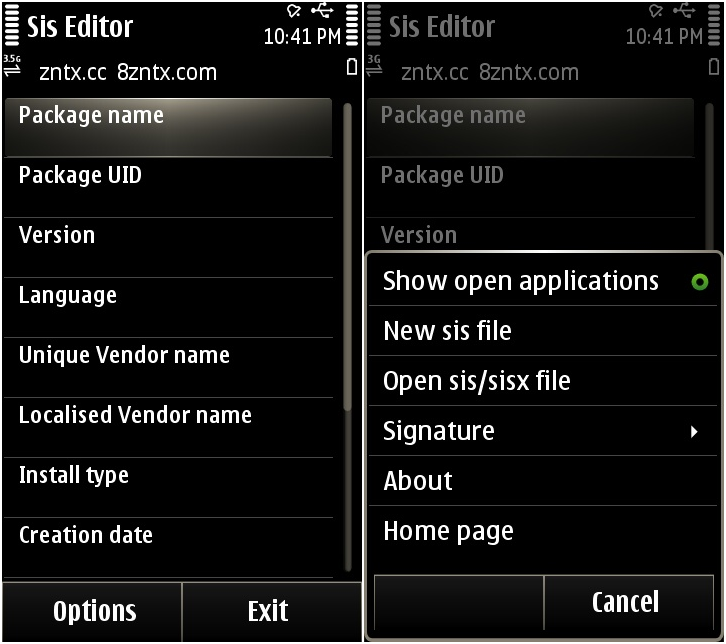 4. can be sis / sisx package inside the file the following: add, delete, replace, extract, property editor (can be four kinds of operation), up and down, bulk export, etc. 5. support for cross-screen operation, you can better see the file specific path. 6. Add 100 kinds of programming language support. Goal setting to support the third and the fifth edition of all the models chosen. The type of installation support for five. 8. support the sis / sisx files signed. Note: The edit and save the sis / sisx packages, need to sign to install.